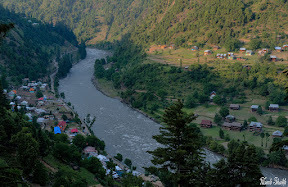 Upper Neelum or Neelum Village is located at a distance of about two and a half kms from Keran. A link road going up-hills leads to Neelum village which is one of the beautiful villages of Neelum Valley. This panoramic lush green village, profound in wild fruit and wildlife, attracts the tourists from every nook & corner of the country. A zoo and park is under construction. Another remarkable feature of the spot is that one can view the entire area of occupied Kashmir. Owing to its tourist attraction AJK Tourism Department has launched a development project to develop resorts in both the Upper and Lower Neelum village. June 15, 2016, 1:03 a.m.